The last few days we've been confirming logistics and details for tonight’s Christmas Eve service. (Thanks coordinators and team members!) As we’ve done for about ten years, two small congregations from different denominations (but bound to each other and to Jesus by the Holy Spirit) will come together on Christmas Eve to sing, pray, preach and present readings about the Father’s love known in the Savior Jesus and his breaking into his creation as God with us and for us. Tonight’s plan for music includes traditional carols, contemporary songs, children singing Tommy Walker’s Happy Birthday Jesus, and the service concluding with the singing of Silent Night as we light one another’s candle (originating from the Christ candle) and face one another in song. I’ll be serving in one of my favorite ways—just singing harmony. 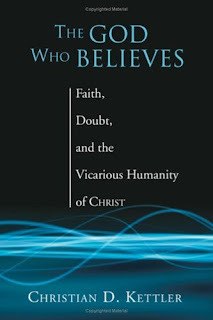 This post begins a series reviewing Christian Kettler's book, The God Who Believes - Faith, Doubt, and the Vicarious Humanity of Christ. For other posts in the series, click a number: 2, 3, 4. 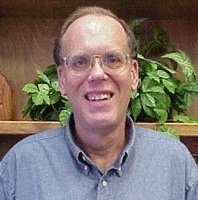 Dr. Kettler shows how Jesus, as the representative and substitute for all humanity, has faith on our behalf. To view a "You're Included" interview with Kettler, click here. "As common as it has been to consider Christ's death to be vicarious, carried out in our place and for us, what if we were to consider that the entirety of his humanity was lived vicariously for us and in our place?" (p. x). "Can we say that Jesus believes, not just as an example of a believer, but believes for me and in my place vicariously, so that I can be helped in my unbelief (Mark 9:24)?" (p. xii). 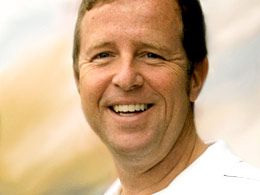 "In such a therapeutic, pragmatic, pull-yourself-up-by-your-bootstraps society as ours, the message of God having to do all the work in saving us comes as an offensive shot at our egos...The gospel has nothing to do with what I do. The gospel is entirely a message about what someone else has done not only for me but also for the renewal of the whole creation. "You can read the full interview, titled "Christ at the Center," by clicking here. Let me know what you think.